Buy and sell used Utility Trailers from any and all manufacturers, including Big Tex, Diamond Cargo, Pace American, Wells Cargo and more. From S/A Enclosed Utility Trailer and S/A Utility Trailer to T/A Enclosed Utility Trailer and T/A Landscape Trailer, you can be sure to find exactly what you need. 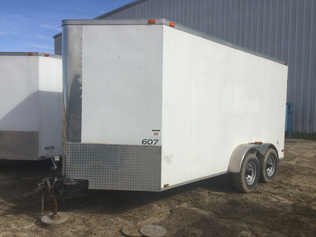 If you are looking for a used Utility Trailers, be sure to check out our upcoming equipment auctions.